Is this the right chain for you? We understand that Shimano's chains can get a bit confusing. The key to figuring everything out is to realize Shimano makes a newer series of chains specifically for use with 105, Ultegra and Dura Ace double chainring cranksets. These include the CN-7901, CN-6701 and CN5701. Those models use an asymmetrical link design that makes them directional, but it also limits their use to the newer 105, Ultegra and Dura Ace groups. This CN-6600 isn't one of those. Instead, it's a good ol' 10-speed Shimano Hyperglide chain, ready for pretty much anything 10-speed you got. Triple crankset? This is your chain. 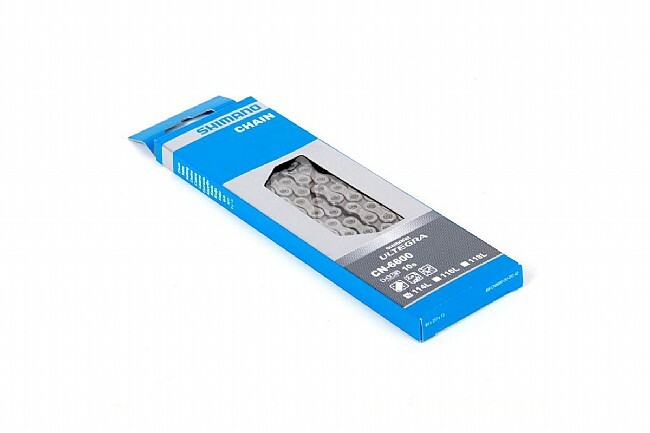 It's the recommended chain to use with both the Ultegra 6703 triple and the 105 5703 triple cranksets. This chain is 6.1mm wide, so it's also compatible with other brands' 10-speed systems and even 1x10 configurations and just about anything else you can think of that has 10 gears out back. In terms of quality, it's an Ultegra-level Shimano chain, which is to say it's incredibly well made, smooth, and quiet on most drivetrains. Hyperglide chains are generally durable and are respectably light. The CN-6600 is too narrow to work with any 9-speed system, includes 116 links, and weighs 304 grams.